Quick & easy engine detailing - no hose required! This kit is for car care enthusiasts of all skill levels! 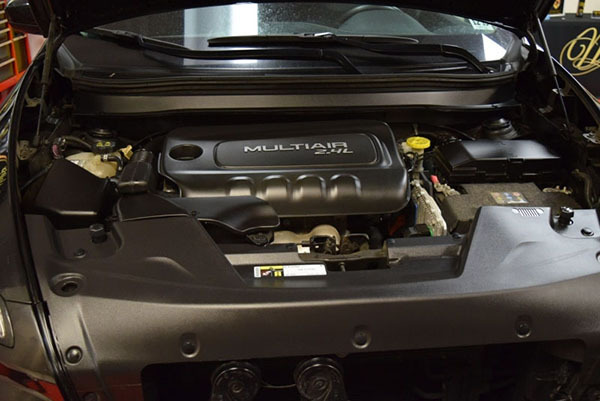 Make your engine bay look better-than-new in 10 minutes or less WITHOUT using a hose! 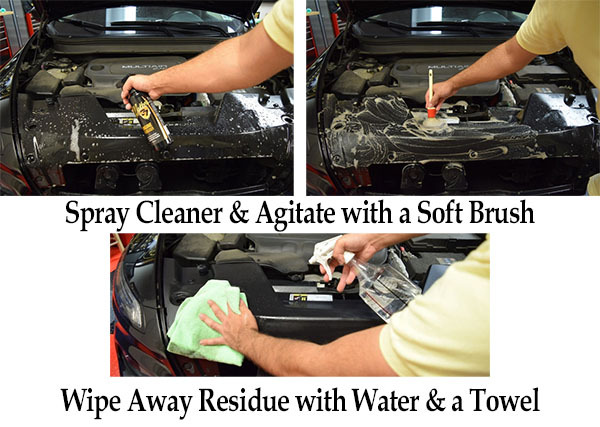 This money-saving kit includes our surface-safe Engine Degreaser, versatile Trim Detailer, our Premium Detail Brush, plus a handful of microfiber towels and a pair of Orange Nitrile Gloves! McKee's 37 Engine Degreaser is the ultimate surface safe engine cleaner. 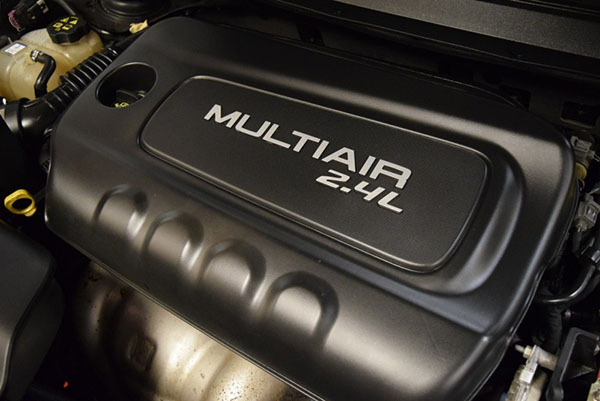 It’s a blend of surfactants, sequestering agents, and emollients that immediately loosen and lift greasy buildup from engine surfaces. McKee's 37 Engine Degreaser is not what you’d expect from an engine degreaser. It has no harsh fumes and it is nontoxic, VOC-free, biodegradable, and safe on any hard, non-textile surface.We’ve replaced the butyl, butyl ethers, and acid with safe, nonirritating cleaners. McKee's 37 Engine Degreaser is VOC compliant in all 50 states. What's the big deal about a squeaky clean engine bay if it doesn't look dressed to impress?! That's where McKee's 37 Trim Detailer really shines (pun intended!). Save time and enjoy the look of dark, detailed trim with McKee's 37 Trim Detailer. 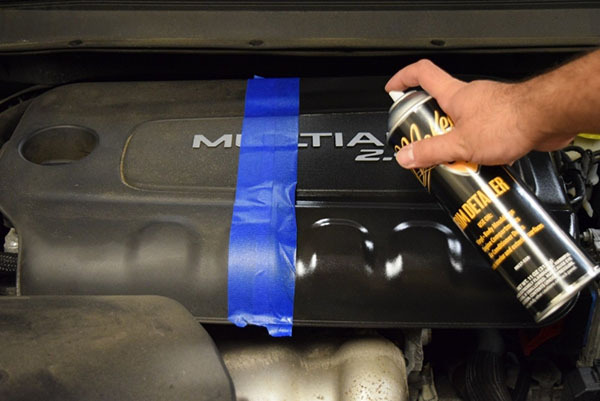 This aerosol spray quickly coats trim, tires, and engine bays to provide a low gloss, new-rubber finish. Exterior trim and engine bays will look dark with a subtle, satin shine to complement any vehicle. Use this soft-bristled brush to gently agitate Engine Degreaser. It is perfect for delicate leather surfaces that would otherwise be scratched or marred by a stiffer brush. The wooden handle will not get slippery when wet. Premium Microfiber Towels are the perfect workhorse for your towel collection. Yes they’re “premium,” but these towels are up for any task! Each towel is composed of an 80% polyester, 20% polyamide microfiber blend, offering the perfect balance of absorbency and cleaning power. Premium Microfiber Towels are perfect for any cleaning job in or around your vehicle! This 36 ounce Detail Bottle is perfect for all of your detailing needs. The durable PVC construction paired with a heavy-duty spray trigger make this a handy tool that's built to last! Measuring lines printed on the bottle make it easy to dilute your favorite detailing products, like McKee's 37 Rinse Free Wash & Wax, and the wide base makes it less likely to tip over. Our Orange Nitrile Gloves will give your hands all the protection they need from polishes, grease, and solvents without reducing your tactile sense. Textured Orange Nitrile Detailing Gloves allow you to grasp tools and bottles securely. Perform your toughest detailing jobs. Orange Nitrile Gloves are tear and puncture resistant. They work almost as hard as you do! Total retail value of $64.92. You save $14.93! Federal regulations forbid shipping aerosol items by air. All aerosols will be shipped via ground shipping services. It Really Works! 5 I've never had a product work so well and be so easy. under hood detail kit 5 this product works just like the video shows.so easy and so good. McKee's 37 Home Brew Spray Wax Kit 16 oz.